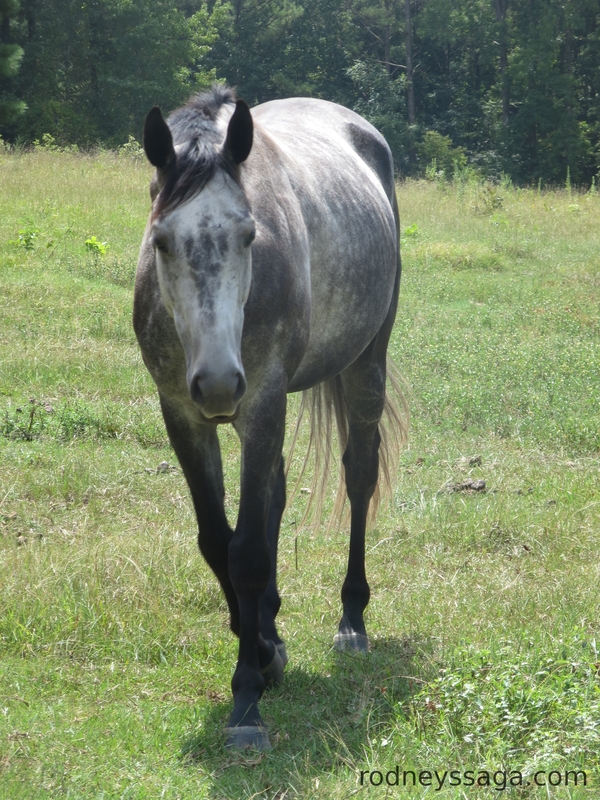 Milton is a 6 year old, 16.1 hand, gray, OTTB gelding from Canada. He arrived Saturday, 8/23. Prospective show name: Canadian Cold Front. Milton raced briefly, if unspectacularly. 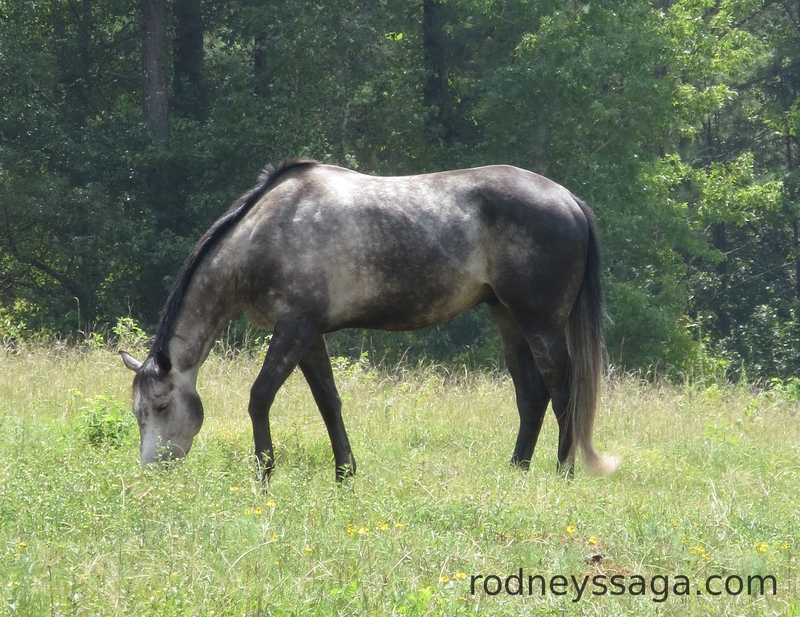 He has been off the track long enough to gain a civilized walk, trot, canter, and a start over low jumps. He was exactly what I was looking for: a nice Thoroughbred under 10 years old, under 10K. That’s not the interesting bit. Wow! Just …. wow! He’s beautiful! Congratulations! I’ve VERY excited for you!!! Can’t wait to hear more. Lots more!! I knew it from the first teaser!! But a gray? Tsk Tsk. What happened to your bay streak? I wish you all the best with him and am looking forward to progress reports. How wonderful! I am eager to read about him! Wow! He’s beautiful and….different 😉 I’m so excited. I hope he’s turns out to be just what you wanted. I’m looking forward to reading about how you found him and brought him home. Was hoping that was what the teasers were. We will all enjoy hearing about your upcoming journey with him. Congrats! Now then. Job One: make me regret to the end of my days that I didn’t take him home myself. Thanks all. I’m tickled. Stunned, but tickled. Congratulations! He’s very handsome. Woo-hoo!